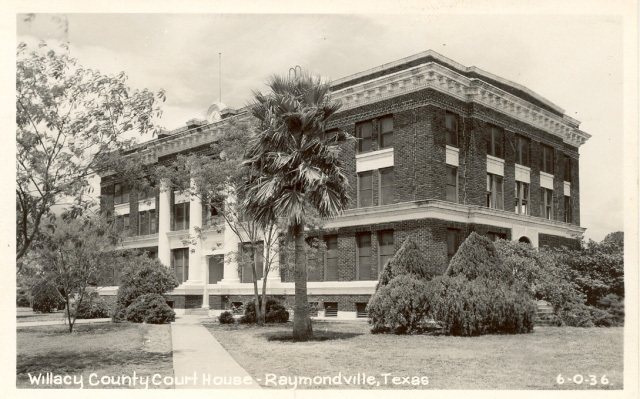 This month, we’re highlighting one of Texas’ endangered historic county courthouses. Willacy County Courthouse, located in Raymondville, was recently forced to close its doors when one of the most common and pervasive threats to county courthouses—water intrusion—caused a widespread mold infestation, threatening the health of county employees and records. Without consistent and diligent maintenance, even the most solid architecture can fall prey to the effects of water damage. For Willacy, a leaky roof and exterior moisture protection issues have resulted in significant water damage and the growing mold problem. In July 2008, the situation was exacerbated when Hurricane Dolly caused substantial water infiltration throughout the building, especially the basement, which has been prone to flooding for years. These issues, coupled with decades of neglect, have put the centerpiece of this community in danger. Built in 1922, Willacy County Courthouse was designed in the Classical Revival style by renowned San Antonio architect Henry T. Phelps. 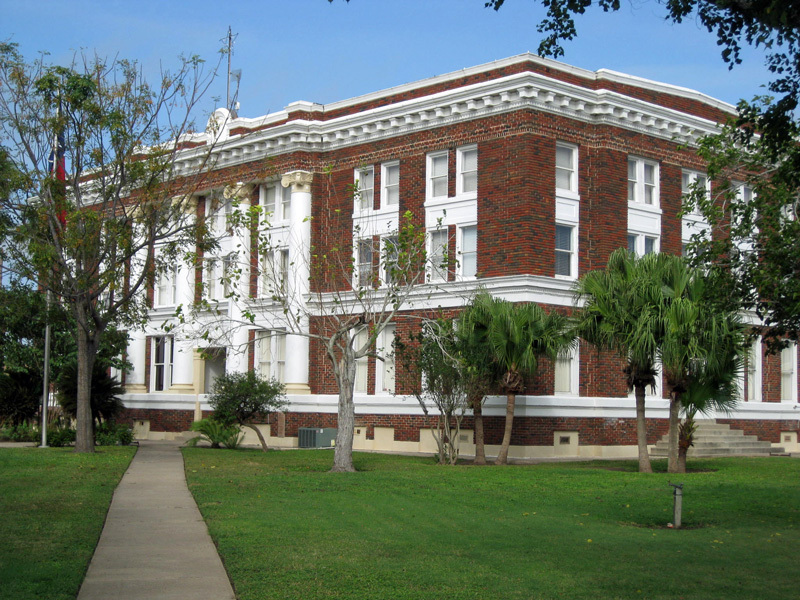 Its sister, the Kenedy County Courthouse in Sarita, was also designed by Phelps and built in 1917 as the original seat of Willacy County. 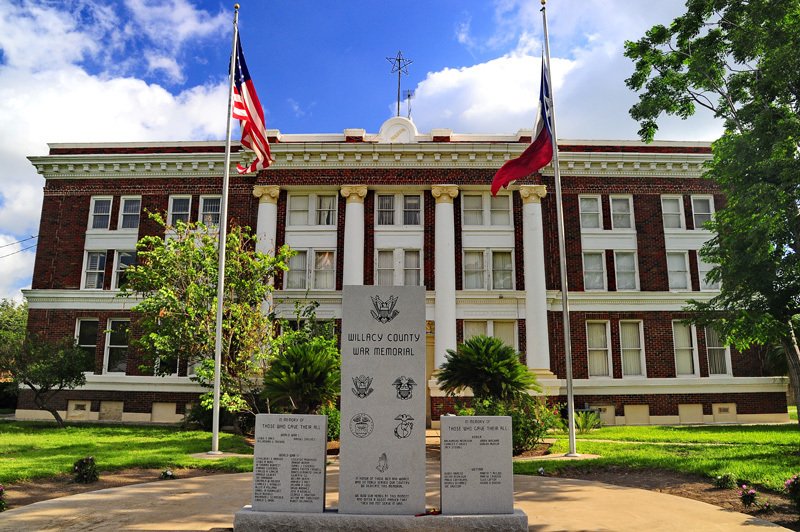 During his time, Phelps designed a number of Texas courthouses, four of which have been restored through the Texas Historical Commission's (THC) Texas Historic Courthouse Preservation Program (THCPP), including those in Atascosa (1912), Dimmit (1926), La Salle (1931), and Mills counties (1913). In its early years, Willacy’s courthouse served not only as the seat of county government, but also a community gathering place where citizens held meetings to discuss local issues. In 1956, the first Hispanic woman to be licensed as an attorney in Texas, Edna Cisneros, became the district attorney in Willacy County and the only female district attorney in Texas at the time. Holding office until 1984, Cisneros was a fixture at the Willacy courthouse. Willacy County Courthouse has had very few modifications over the past 92 years, making it a good candidate for restoration. Currently, a courthouse preservation master plan has been approved for the building, but due to a reduction in state grant funding during the FY 2014-15 biennium, the county has not yet had the opportunity to apply for significant grant assistance in order to proceed with repairs. This month, County Judge Aurelio Guerra obtained support from the commissioners court to enhance the county's future chances by obtaining historic designations for the building. If state grant funding is available for a grant cycle in FY 2016-17, the county has decided to submit an application for a planning grant to complete construction documents for the project. Meanwhile, the county will identify a source of funds to meet their local match needed for a full restoration, which is currently estimated to cost about $8.3 million. The maximum award from the courthouse grant program is $6 million for a building that's priceless. Until then, Willacy’s courthouse will sit empty and unused. Through matching grants, the THCPP helps restore and preserve Texas’ historic county courthouses. To learn more about the benefits of restoring historic courthouses such as Willacy’s, download a free copy of the THC’s Courthouse Cornerstones (PDF) or visit the THCPP online. 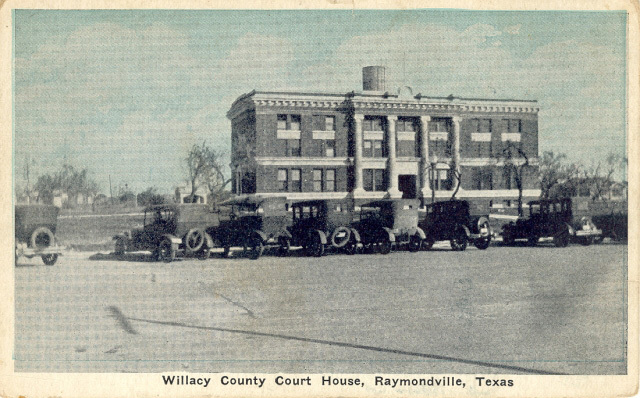 Historic image of Willacy County Courthouse.